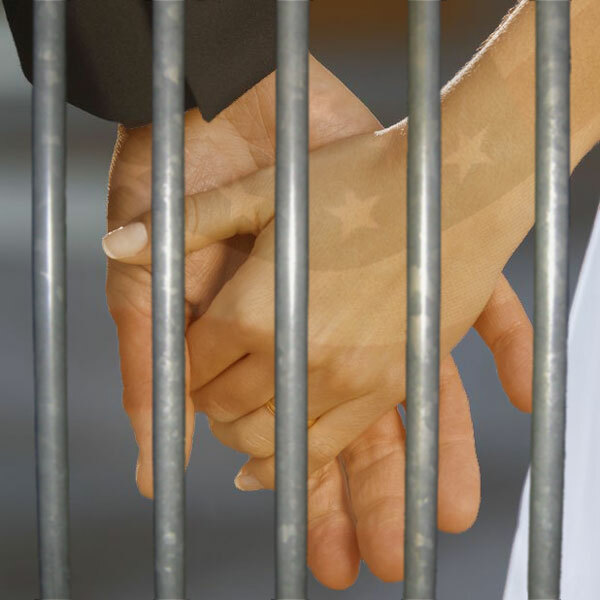 if it’s a fraudulent marriage (or a “sham”), you could be looking at a felony conviction with up to five years in prison and fines of up to $250,000. In the past, I have written about the dangers of asylum fraud. Marriage fraud is no less evil, and Immigration and Customs Enforcement recently announced that it is spearheading a national crackdown. What are some of the ways that government determine if there’s fraud? • Certain intangible factors that alone might not set off a red flag, but viewed in totality might suggest an attempt at fraud. For example: the USCIS officer may notice significant age differences, the time frame between the first meeting and the marriage, lack of a common language, “body language” at the interview, and inconsistent answers given during the “green card” interview. • Investigators from the Fraud Detection and National Security arm of USCIS are authorized to verify information on the petitions and applications; conduct site visits of the home or apartment complex and talk to neighbors and apartment managers (sometimes asking the managers for a copy of the lease to verify that it matches what was submitted as part of the application); and conduct visits to the workplace (asking to see the benefits forms to see if the spouses are listed on the forms). USCIS also works closely with Immigration and Customs Enforcement and the Federal Bureau of Investigation. And they are very effective. After a jury trial, three brothers in Florida were convicted of participating in a conspiracy to enter into marriages for the purpose of evading U.S. immigration laws, making false statements to U.S. Citizenship and Immigration Services, and unlawfully attempting to procure naturalization and citizenship. A Georgia man was convicted of running a marriage fraud ring. The man would pay U.S. citizens to marry the foreign nationals; immigrants would then pay the man as much as $10,000 each to arrange a fraudulent marriage for them. A Pennsylvania woman pled guilty to conspiracy charges after she arranged marriages and then instructed the foreign nationals on how to make their relationships appear genuine. And in case you might be thinking that the feds are only looking to punish large criminal enterprises, a cautionary tale about two individuals involved in a sham marriage: A Russian national who married a man so she could stay in the U.S. was convicted in 2008 after the man responded to her Craigslist ad seeking a U.S. citizen spouse. Yuliya M. Kalinina, 25, of Marina del Rey, was guilty of marriage fraud and aiding and abetting the making of false statements. The man she paid to marry — Benjamin C. Adams, 30, a U.S. citizen who resides in West Los Angeles — also pleaded guilty to marriage fraud and making false statements, according to ICE officials. The government is seeking to educate the public about the seriousness of the issue. And also to warn people that instead of making a fast buck, you might be making an address change to a place where everyone wears the same color . . . apparently not always orange. If you are in a BONA FIDE marriage (one that is not fraudulently contracted for the sole purpose of obtaining a green card) and you wish to discuss your options, I invite you to contact me. But words of advice: If you can’t convince me of the merits of your case, you probably won’t be able to convince an immigration officer.